The church was, and the cemetery is located in the Rural Municipality of Big Stick, seven miles east and two miles north of Golden, Prairie, Saskatchewan. 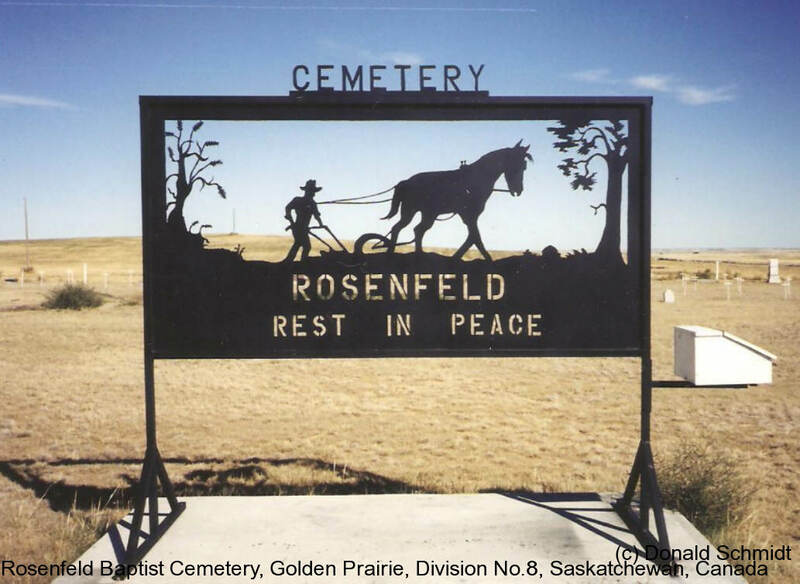 The name Rosenfeld was chosen by a group of German immigrants who had relocated here from Drake, McHenry County, North Dakota, they had been members of the Rosenfeld Church at that location. As at April 15, 2013, there are numerous unknown burials.